Myth #1: You can accurately estimate how much time a concrete slab needs to dry. A popular method for calculating how much time a concrete slab needs to dry before the flooring can be installed is to allow one month of drying time per inch of the slab. While this gives a rough indication of what to expect, it’s an approach that overlooks completely the many variables that can impact how much time a given concrete slab needs to dry. We know that moisture has to move through the concrete to evaporate. How easily it can move through a slab has a significant impact on drying times. The moisture needs to flow through the capillaries (small pathways) in the concrete. The size and number of capillaries present depend on the unique mix of cement, aggregate and other admixtures used for that slab. The amount of water used in the mix also impacts how much moisture needs to evaporate. These factors account for what’s happening inside the slab. However, outside factors directly impact drying time too. Aggressive troweling or applying certain curing compounds can trap moisture underneath the surface. The ambient conditions around the slab, such as temperature, humidity, and airflow, also affect the drying time. 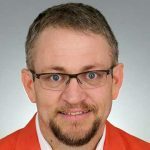 Considering how all of these variables play into the drying time equation, why would anyone risk guessing, especially when there are cost-effective relative humidity (RH) tests available that accurately measure a slab’s moisture condition? Myth #2: Old concrete is already dry. This statement may seem to make sense. If a concrete slab has been around for years and has already had flooring installed over it, surely it must be dry enough for new flooring to be installed. Unfortunately, this is wrong. Many older flooring systems used products that were more moisture-resistant but also had a greater environmental impact, than many of the products used today. This means that an old concrete slab may be holding on to moisture that couldn’t escape the older, more moisture-resistant flooring. That moisture could wreak havoc on the new flooring. There could also be unidentified sources of external moisture (e.g., a plumbing leak or weak vapor barrier) that have been affecting the slab for years. For these reasons, never assume an older slab is sufficiently dry for your flooring application. Myth #3: The surface of the concrete slab is dry, so the flooring will hold. Scientific studies have shown that the dryness at the surface of a concrete slab won’t necessarily reflect the slab’s overall moisture condition. Ambient conditions discussed under myth #1 can cause the slab’s surface condition to be very different from what’s going on below, where it matters most. 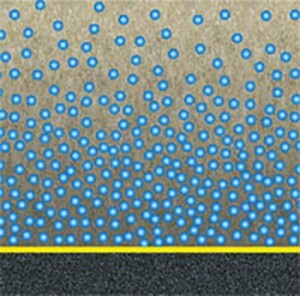 In addition, as moisture moves through the slab and evaporates at the surface, a moisture gradient invariably forms, such that the moisture condition deeper within can be quite different than at the surface. Because of this moisture gradient, any concrete moisture test that only measures at the surface, such as the widely used calcium chloride test, can’t possibly give reliable results. The moisture level that matters most is the slab’s point of equilibrium; that is, the moisture level that remains after the flooring installation and once the moisture gradient evens out. That’s the moisture condition that the installed flooring will “see” for the long haul. The only way to get an accurate, reliable assessment of that moisture condition is by taking measurements deeper within the slab, and RH tests are specifically designed to do just that. Myth #4: The exact depth of an RH testing hole doesn’t matter. 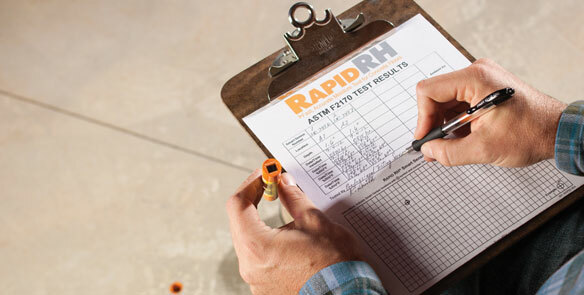 The depth of the RH testing hole matters a lot, which is why the ASTM F2170 standard for RH testing specifies the exact depth for conducting the test. Why is depth so important? We know that moisture levels within an unsealed slab can vary a lot as moisture moves up and out of the slab during the drying process. Taking measurements at various depths will yield significantly different results. Rigorous scientific studies have determined the best depth for taking RH measurements, in order to get a true picture of the long-term moisture condition that will exist after the flooring is installed. This is the depth required by ASTM F2170. No guessing or estimating (see myth #1) allowed. For slabs on grade and drying from one side, the precise RH testing depth is 40 percent of the slab’s thickness; for slabs that aren’t poured on grade and are drying on two sides, the exact depth required is 20 percent. 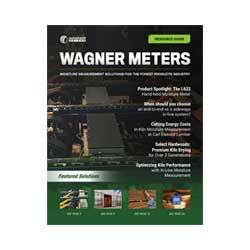 Myth #5: RH test hole depth is all that matters for an accurate reading. The RH test provides the most reliable way of getting an accurate measurement of a concrete slab’s moisture condition, but it has to be done right. Placing the RH test probe at the correct depth is certainly critical (see myth #4); however, other issues can interfere with your test results if you don’t address them: dust and grit. When you drill holes for placing the RH probes, you must clean them out properly. RH test kits, such as those from Wagner Meters, come with a wire brush and special vacuum attachment for cleaning out the hole before it’s used. If you neglect this step, dust and grit can alter the air volume around the RH sensor, which in turn compromises the sensor’s ability to take an accurate RH reading. To ensure particulates don’t contaminate the hole between readings, make sure to plug the top of it with a protective cap. 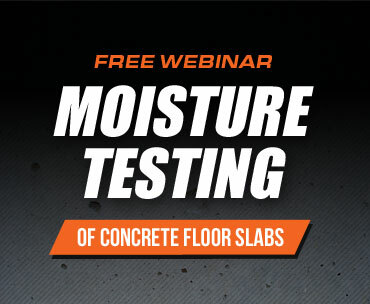 We now know too much about how moisture moves through concrete and how to test accurately a slab’s moisture condition to remain slaves to myth. A properly administered RH in situ test, as set out in ASTM F2170, relies on the science instead. Myth or science? Which do you want to rely on? How do you determine the thickness of the slab accurately? There are devices available that are based off of “echo impact technology”. They can scan across the surface of the concrete and give you a good approximation. If you Google this term, you should find something. The down side is the device is quite expensive for most people. Now, there are some people that will take a smaller diameter drill bit and drill all the way through the slab to get a better approximation. Obviously, they aren’t drilling all over the place, but maybe a couple on each slab. Has anyone used applied physics to this issue? Joe, there has been much research done, some of which is outlined in this book: https://www.amazon.com/Concrete-Floors-Moisture-Howard-Kanare/dp/0893122653. I am sure if you have additional information to add, people would be interested. Concrete-Floors and Moisture is a great source. If there was ever a doubt at what can go wrong, this book should change your mind.